How you can make your construction company more profitable. A ‘must read’ before you price your next project. Many construction companies fail despite the hard work and knowledge of their managers and owners. Some companies even start well, earning good profits, building successful projects, and the company grows – only for it all to come crashing down, often leaving a mountain of debts behind. So why do construction companies fail? Is it due to bad luck? 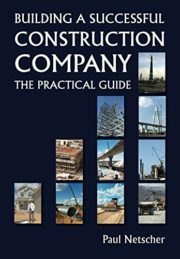 This book explores important aspects of managing a construction company that impact its success and profitability. Obviously managers should have an understanding of running a business as well as the appropriate technical skills. But, it’s usually more than this. The chapters in this book focus on the importance of selecting the right project, how to find projects, tendering correctly, winning the project, delivering the project, avoiding unnecessary costs, increasing revenue, financial and contractual controls, managing the company, the importance of employing good people, growing the company and ensuring the company has a good reputation. 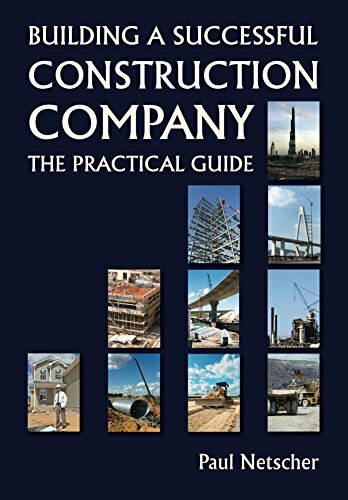 The chapters are set out in an easy to read format, filled with practical tips, which provide a step-by-step guide to growing profits, remaining profitable and running a successful construction company.